Drs. Duncan Brown and Dana Van Elslande are proud to offer outstanding orthodontic care for the entire family in a clean, relaxing atmosphere. We are an advanced Oral Maxillofacial Imaging Centre located in Calgary.We provide state of the art imaging services for the dental community by utilizing the latest,most advanced imaging technology. ABC Pediatric Dentistry - Certified Specialists in dental care for Infants, Children and Adolescents, including those with Special Health Care needs. We value each and every patient that walks through our doors - certified dental specialists in orthodontics and dentofacial orthopedics. We provide General Dental services including fillings, crowns, Root canal treatment, bridges, dentures, cosmetics, cleanings, whitening, gum treatments, sedation dentistry, oral cancer screening. 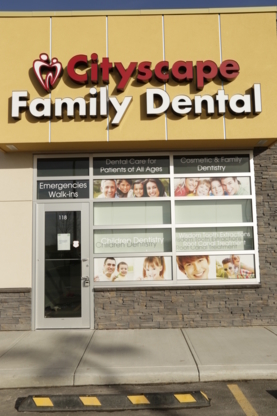 Calgary's first dental hygiene clinic offering personalized dental hygiene services in a relaxed, comfortable environment. Get to know your dentist: The best way to find a new dentist in Ogden Calgary AB is to get to know them personally before you require dental care – we are talking about someone who spends a lot of time poking around your mouth with metal instruments, after all. Look for dentists that make you feel comfortable. Important questions to ask when considering dentists are; dental office hours, after hours availability, what your dental plan covers and if emergency dental services are available on a moment’s notice.